Is the fridge on the fritz? Or the dishwasher on the skids? Maybe your washing machine is doing anything but? Then it could be time to make a new purchase for your home. The good and bad news is that there are seemingly endless options for how to spend your money in the world of home appliances. It’s easy to think that making environmentally friendly purchases when it comes to the refrigerator or washing machine will be cost-prohibitive, but Louisville home owners have found ways to actually save some green by being green. A few simple tips can help you do the same. 1) Size matters. The simple truth is that large appliances use more energy than smaller ones. So consider how much use your new appliance will get before just purchasing the biggest model. If you eat out a lot, then maybe you don’t need the industrial size dishwasher. If you are on a first name basis with your dry cleaner, then maybe a smaller washing machine and dryer will suffice. 2) Read the label. This is good advice when buying any product, but when purchasing an appliance, you should always look for the Energy Star label. Developed by the U.S. Department of Energy and Environmental Protection Agency to help consumers make energy-efficient choices, appliances with this label exceed the minimum government standards for energy efficiency. 3) Check out the Energy Guide. Have you noticed the numbers assigned to the labels of appliances today? The Federal Trade Commission requires that most types of new appliances let consumers know approximately how much energy the appliance will consume in a year. This Energy Guide allows shoppers to compare the energy efficiency of one model against another. You want to find the number – and lower is better in terms of energy use - and read the whole energy guide before making a selection. 4) Don’t let first impressions fool you. Granted, appliances that are more energy efficient will come with a higher price tag. But don’t let the initial sticker shock be the only factor in your decision making. When you consider how much you can save in utility costs over the life of an energy efficient appliance, you may find that the higher purchase price is an investment that will save you money over the long term. As Kermit said, it isn’t easy being green, but it can be both environmentally and financially wise. You can join the many Louisville home owners who are saving some green by being green simply by following these few tips when shopping for a new appliance. On the heels of the recent welcome news about Louisville’s consistently low cost of living compared to the national average, a new announcement from the U.S. Conference of Mayors that took place this week brings Louisville home owners even more good news. Louisville received top prize among cities with over 100,000 residents for being the”most livable city” in 2012. The City Livability Award seeks to recognize mayors and municipal governments for enhancing the quality of life in urban areas. In total, 10 cities are recognized each year; a first place award and four outstanding achievement awards go cities in two separate categories - cities with less than 100,000 residents and those with more than 100,000 residents. Featured in the award announcement was Mayor Greg Fischer’s focus on community service through his “Give A Day” Week initiative. At the beginning of his term, Mayor Fischer vowed to help Louisville become known as one of the most caring cities in the county. He even signed a resolution which began the Compassionate Louisville campaign. Since then, the mayor’s office has worked hand in hand with Metro United Way to engage more volunteers for more hours of service than ever before. The campaign challenged Louisville residents to join together to set the world’s record for service work by having at least 55,000 volunteers and acts of caring contributed in some way during the week of April 15 in 2011, which happened to be not only the beginning of the Kentucky Derby Festival but also National Volunteer Week. This first Give-A-Day Week ended up blowing the goal completely out of the water with over 90,000 volunteers and acts of kindness. Because of its success, the Give-A-Day Week continued this year as well, and city officials intend to make it an annual tradition. Louisville home owners already know what a great town we live in, but we must admit . . . it’s nice when everybody else knows it too. Not only are do we have a cost of living that rivals few others in the nation, we have also been named the 2012 “most livable city.” Not bad. 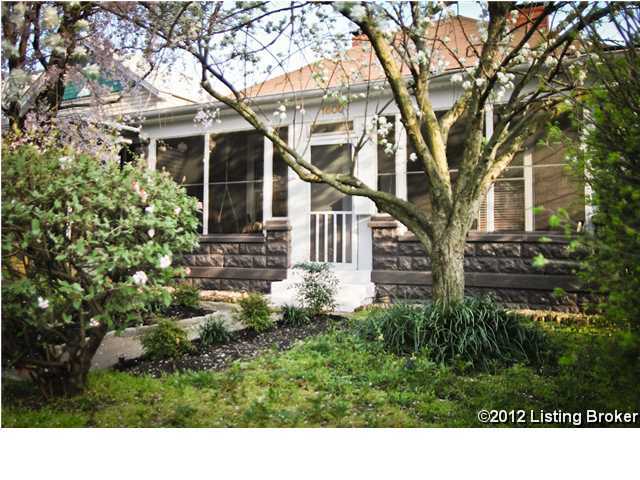 Visit Louisville Real Estate to search for all available homes for sale in the Louisville market. The latest release of the Cost of Living index brings more good news for Louisville home owners. The cost of purchasing goods and services in Derby City is roughly 11% lower than the average across the country. To put that into some context, it’s about two and half times less expensive to call Louisville home than it is to live in Manhattan. These figures come from the work of the Council for Community and Economic Research, a non-profit group that analyzes the prices of a wide range of consumer goods and services in 306 major metropolitan cities on a quarterly basis. The biggest bang for the buck that Louisvillians see comes when buying a house. Based on data from the first quarter of 2012, buying a home in Louisville is close to 23% less expensive than the national average. For example, a 2,400-square-foot new home would cost an average of $231,573 in Louisville while the national average is $251,247. But housing isn’t the only area where Louisville home owners are saving money. Groceries, gasoline, and just about all common consumer goods are also significantly lower in Derby City than other urban centers. Some will argue that a lower cost a living also goes along with lower average wages. And others contend that larger, more expensive cities are worth the higher price because of their ability to showcase top level professional sports teams and other marquis entertainment events. But for those of us looking for the most value for our hard-earned money, Louisville stands out because of its affordable cost of living. Want to find out just how much? Check out CNN Money’s Cost of Living Calculator. Just enter a salary and home city and state. Then enter a comparison city and state. The calculator will tell you what a comparable salary in the comparison city will be and how a move to that city will affect common costs you will have there. For example, let’s compare the cost of living of someone in Louisville making a salary of $55,000 annually to what it would be if he or she moved to Boston. That $55,000 salary would have to be $82,350, and housing there would cost a whopping 92% more. Utilities, groceries, and healthcare will run 44%, 35%, and 39% more in Bean Town respectively. With number like these, Louisville home owners definitely love the latest cost of living news! To start your search over, visit Louisville Real Estate and you can eassily restart your search for homes. Home decorating for some involves purchasing brand new furniture, wall décor and other accents. But for others, finding an old piece and giving it new life is more than just a practical, environmentally friendly way to update a home’s look. For many Louisville home owners, repurposing old items found around the house can add both beauty and character. Consider these do-it-yourself ideas for turning the "no longer useful" into the "can't live without." Mason jars are some of the most versatile items for repurposing. Add a push pump to the to one for a rustic-looking soap dispenser, or place colored light bulbs inside several and line them outside for a festive glow when entertaining outdoors. Cheese graters can also add a touch of functional whimsy to the home. Use it as the base for a mobile, and hang pictures or other collectables from yarn attached to its many holes. Or paint it a fun color and sit it on your dresser. You can use the holes for decoratively holding your earrings. Wooden shutters can serve an amazing array of purposes. Attach large ones together to create a screen divider that can be used indoors or outside to define different spaces. Painting them in bright hues will add a bold splash of color to your space. Hang smaller wooden shutters above a desk or other workspace, and use the open slots to organize to-do lists, greeting cards, mail or recipes. Palates used in industrial settings can end up being a clever accent in a home. Hang one on an empty wall in the kitchen and use it as a plate rack. Or turn it into a “living wall” by planting flowers in it. If a whole palate is too big for your space, cut off just one section and use it as a planter box, or hang part of it on a wall to use as a magazine rack or book shelf. Cabinets contain a wealth of repurposing potential once they are no longer needed to hold dishes in the kitchen. Hang up a painted cabinet without its door on a wall, and use it as a shelf or shadow box containing decorative items. Try painting inside the frame of a cabinet door with chalkboard paint, and hang it for family notes and reminders. Maps can be used in hundreds of different ways that have little to do with geography. Cut a large map into three sections, frame each of the three pieces, and hang them creatively on a wall. Maps can also make a great mat covering inside a frame, especially for travel pictures. Simply finding items around the house that have already served their intended purposes and applying a little creativity to them can result in clever new decorative accents. Louisville home owners know that “old” doesn’t have to mean “useless,” and by repurposing old items, they are adding new life and a sense of playfulness to their homes this summer. Brad Long is a real estate Realtor based in Louisville, KY. You can contact him and search for Louisville Real Estate through his website.